These engraved aluminum SITES certification plaques are machined from solid aluminum sheet stock composed of up to 85% recycled material. This process is inherently friendlier to the environment than the sand casting process. 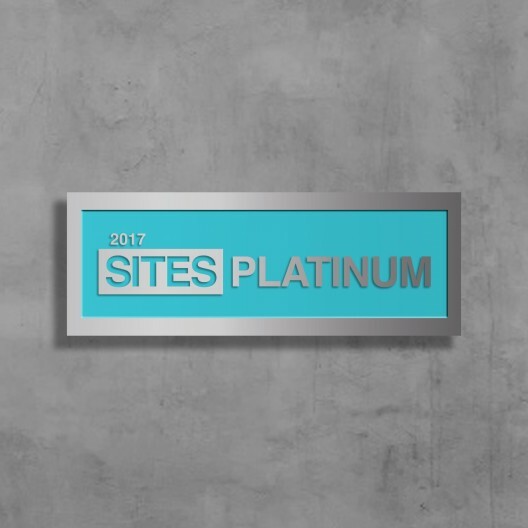 Each plaque is engraved with the year and level of your certification as well as the SITES logo. Please select from three sizes: 11" x 4", 16 1/2" x 6" or 22" x 8". Stud-screw mounting and a mounting template is included for installation. No additional mounting hardware is needed.